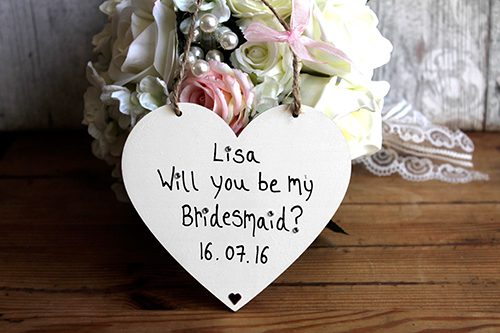 A lovely way to ask your bridal party to help you on your big wedding day. 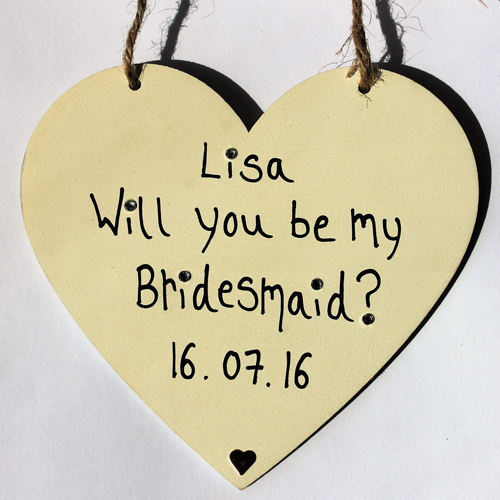 Personalise this 12cm will you be my Bridesmaid Wooden Heart with the name(s) of your Bridesmaid(s). 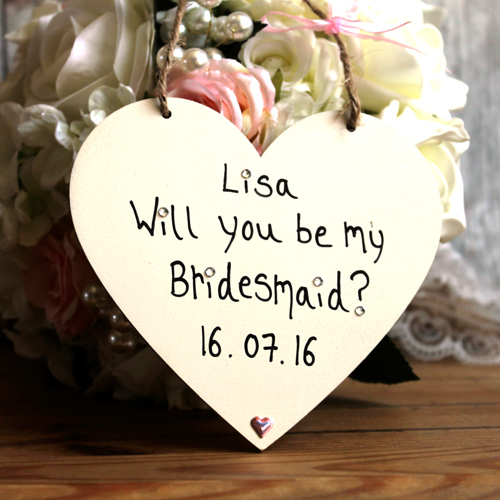 A lovely engagement keepsake. E.g. Lisa . 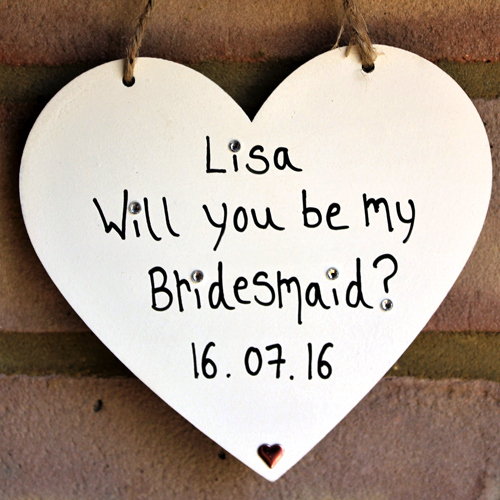 PLEASE NOTE – if you are ordering more than one Heart, you can separate each Bridesmaid with a comma. This Will You Be My Bridesmaid Cream Gift Heart is a lovely unique way to ask and thank your bridesmaids for being apart of your big day! It’s a beautiful personalised gift that will make a nice lifetime. Decorated with a pink small heart and diamonties. Hang it on the wall and create a memory that simply says THANK YOU! Unique product designs and very competitive prices.